Using your imagination, some paint and doilies, you can turn an old end table or small cabinet into a cute decorative piece. 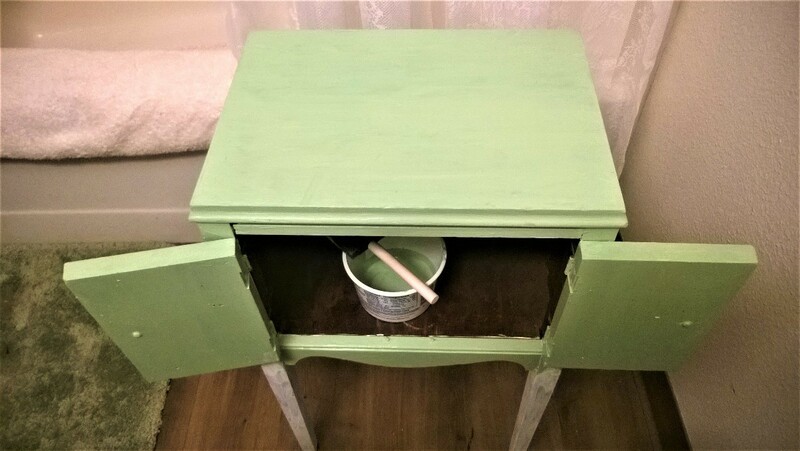 This is a guide about a new life for an old cabinet. 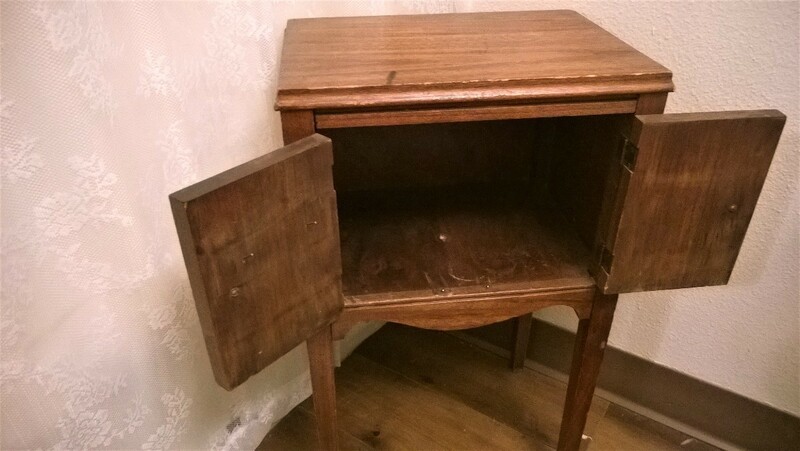 I had this little cabinet next to my living room chair for a while. 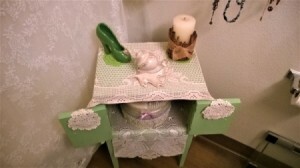 Then I went to a friend's house and saw that she had a similar little one in her bathroom. I was inspired! And then I went to work. The first thing I did was clean it. When that was done and I let it dry overnight, then I painted the first coat. Now you need to know that all I had to work with was ceramic/artist paints. And the first night, I didn't have the foam brushes so this really was a labor of love. I don't recommend it. Make quick work of your project with the right tools. 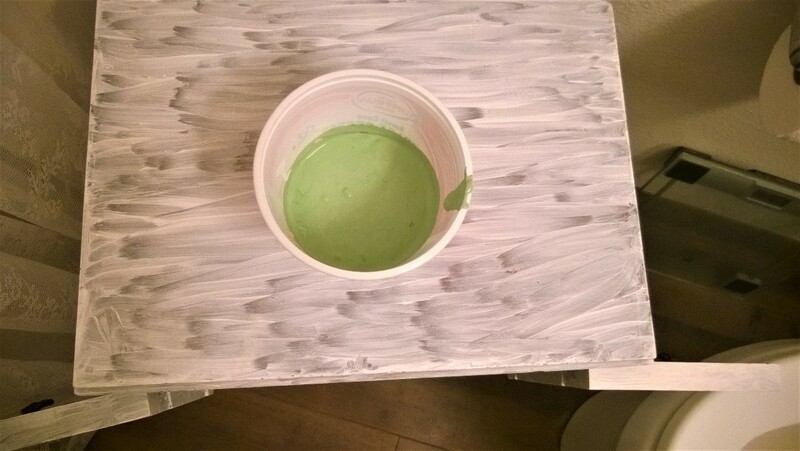 I mixed the green and the cream and some white to make a unique color just for my bathroom decor. Luckily I had the amounts I needed as it was all I had of the white. I didn't care if the inside was darker so I went with what I had. With the foam brushes, it was much faster and easier and the paint lasted just to the end of the project. I don't think I had enough to cover a Q-tip. I let it sit overnight and today finished the inside. 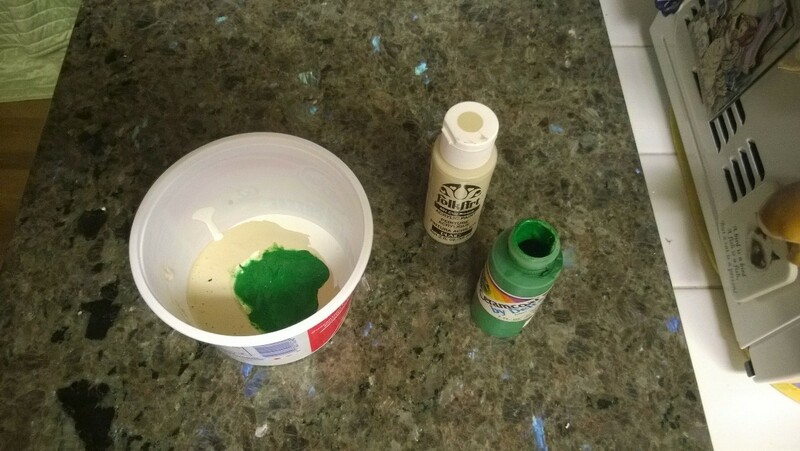 I mixed some more green and cream for the interior and had just enough for the sides and the back. So it was a toss up as to what to do with the bottom. 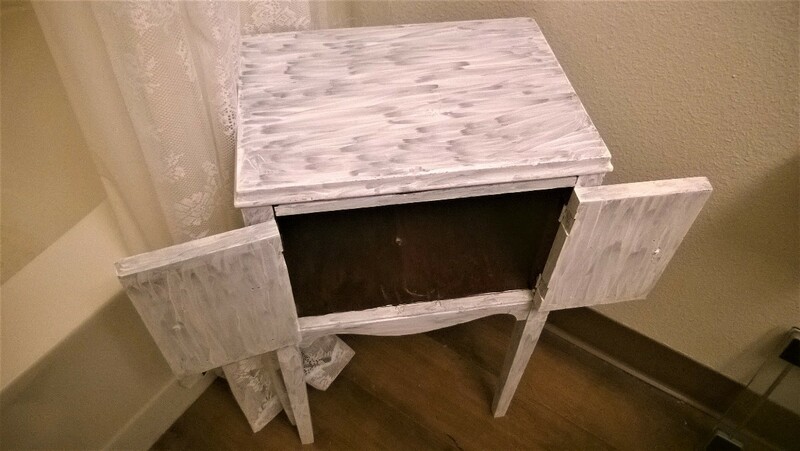 Paint it, use scrap booking paper? Lace? Well, the lace won out. I had to custom cut it, but I think it turned out nice. 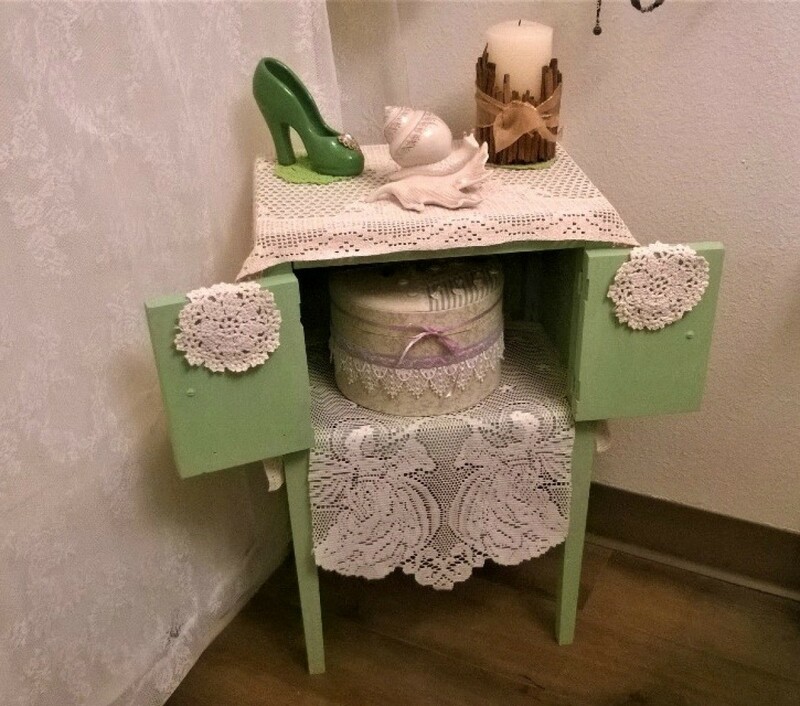 I put my pretties back up and used a spot of hot glue to put the mini doilies on the door. All in all, for about 10.00 and a few hours of time, I think it came out pretty cool. N-JOY! Some will. But this was a battered and beaten old thing. I think it might have been a humidor since I have discovered a hole in the center of the bottom. Might have been for a spinning something anyway. It looks great! You did a good job.